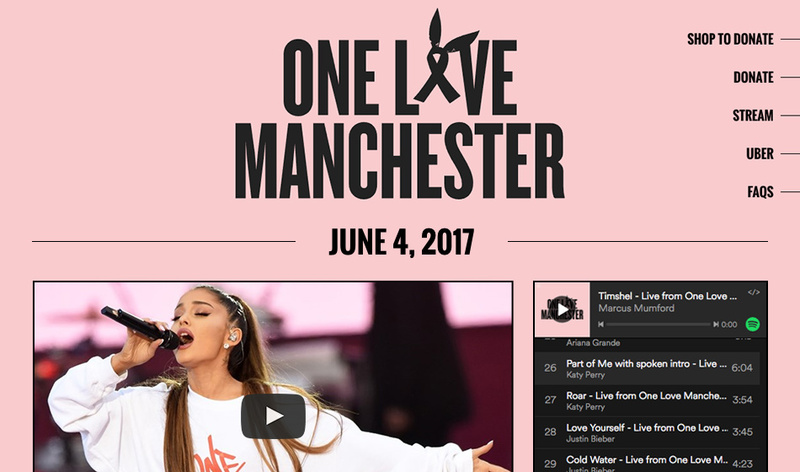 A special benefit concert organized by pop sensation Ariana Grande in response to the bombing at her concert on May 22, 2017. 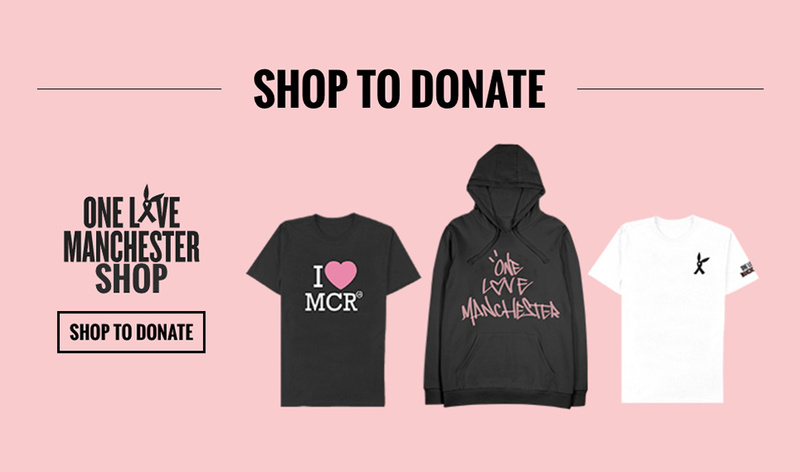 In just 2 days’ time, design and develop a website to promote the benefit concert held in Manchester, UK. The website will contain information about the show, promotional videos, an embedded Spotify playlist, links to donate, streaming partners, and a section for FAQs. Given the short deadline, our team wasted no time in cranking out a fully responsive website. Our design and build teams worked in sync to create an experience that was on-brand and worked seamlessly across all devices, while our development team secured the domain and setup servers to handle the massive influx in traffic. Partnering with Live Nation has proven to be a very challenging yet rewarding venture, and this was no exception. We pulled everything together on time and pro bono, offering our services to help support the charitable event. The website handled online traffic flawlessly, with over 2 million pageviews and up to 25,000+ concurrent users during the live event. We also worked to deploy daily updates leading up to the show. The bombing that occurred on May 22, 2017 at the Ariana Grande concert in Manchester was felt around the world, as families and friends mourned the loss of their loved ones. It was an act of pure evil, deep hatred, and an utter disregard for humanity. When Live Nation approached us with the website proposition, we jumped on it immediately. We collaborated with the brilliant team at Live Nation to analyze what was needed in order to achieve the perfect outcome. We identified the various phases of the website, organized the hierarchy of content, defined the design style, and set forth with all hands on deck. We had our work cut out for us, with only 2 days to design and deploy the website, it was essential that our teams worked efficiently through the process. Our design team worked diligently to wrap their heads around the Ariana Grande brand by identifying key colors, brand fonts, design style, and imagery. We started with rough desktop and mobile wireframes to get our teams in sync and start the discussion on functionality. We designed every phase of the website, including mobile comps, web optimized imagery, SVG elements, color swatches, and share images. As we expedited the design approval, our build team worked to set up a base scaffolding to house all of the content. We organized the page structure, established the common breakpoints, and set up all of the necessary libraries in order to obtain the desired results. Utilizing the latest in HTML5 and CSS3 features, a 12 column grid structure, and SASS integration proved to be a valuable method for quickly creating and deploying the website. Our development team assembled a password-protected staging site where we tested and made live updates to share with the client. Server clusters and load balancers were put in place as we geared up for the press release. Once we received the green light from the client, it was time to flip the switch on the production server. We launched the website on time and monitored traffic to ensure that users did not experience any down time. 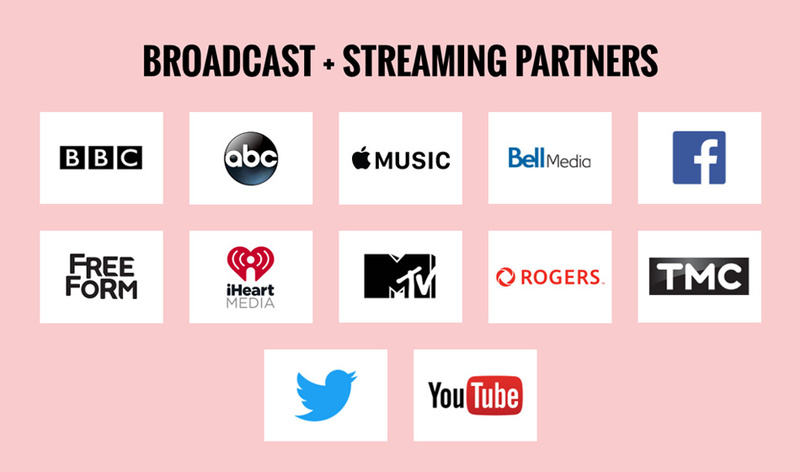 Fans from all over the world flocked to the website to receive exclusive information about the concert and donate through their favorite platform. We were thrilled to see that the project launched without a hitch. The collaboration with Live Nation and Ariana Grande was a humbling experience and we’re thankful to have been given the opportunity to be a part of this unforgettable event.